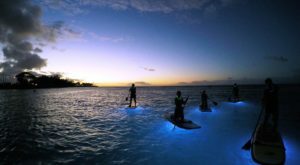 The Hawaiian Islands have a unique history full of royalty, warriors and culture. 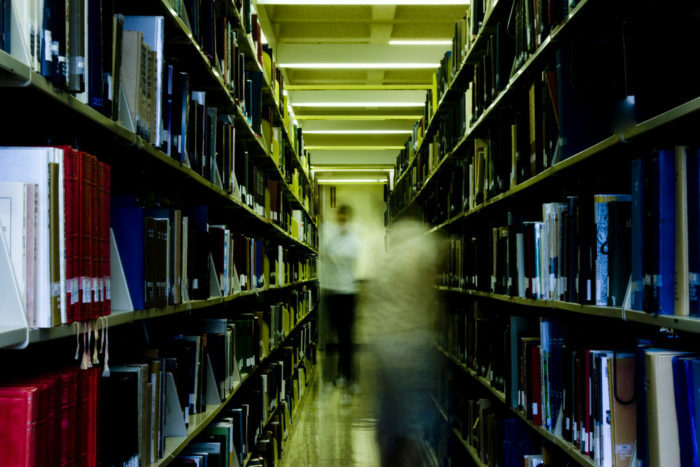 And with that distinct history comes our own fair share of ghost stories. 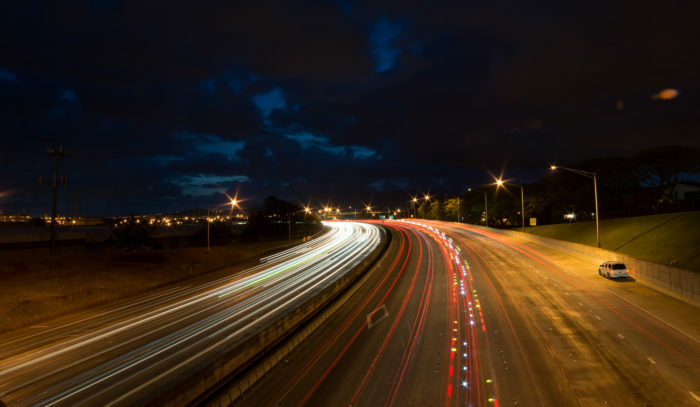 In addition to being home to more than a quarter of Hawaii’s population, the capital city is also home to many ghosts who have chosen to take up permanent residence in the afterlife. 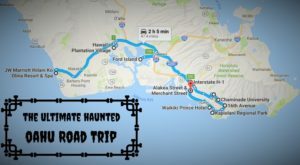 From haunted Waikiki hotels and urban parks to hiking trails and creepy roads, these 14 places undeniably prove that Honolulu is the most haunted city in the state of Hawaii. 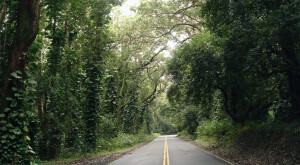 Said to be one of the most haunted places on Oahu, during construction on the major highway workers claimed to see the ghosts of ancient Hawaiian warriors. 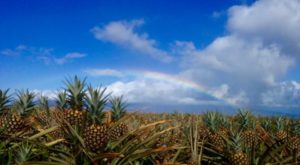 While digging through the mountain, bones of ancient Hawaiians were found. It took seven years to build the freeway because they couldn’t find people to work. 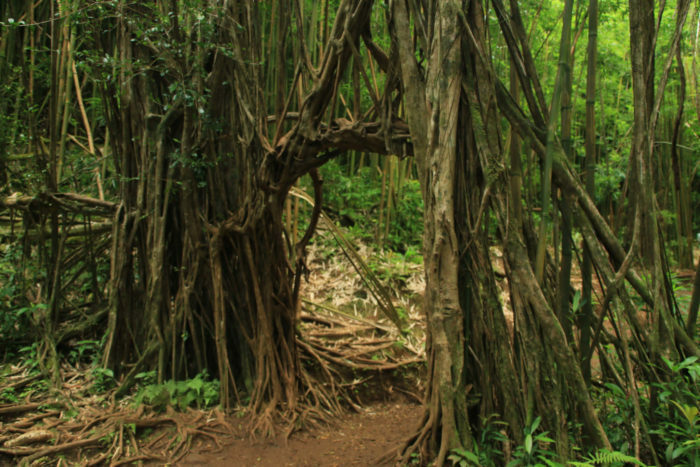 At the start of Manoa Falls is a Banyan tree, though to hold lost spirits. 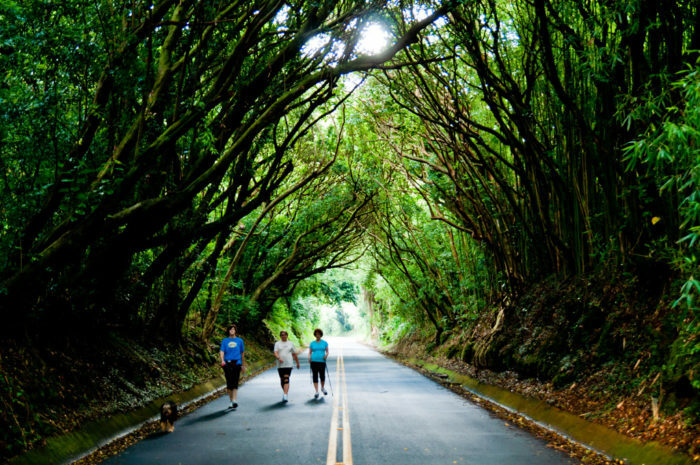 This tree is allegedly in the path of the night marchers – the ghosts of ancient Hawaiian warriors. It is said that you can hear the faint sound of drumming on particular nights. 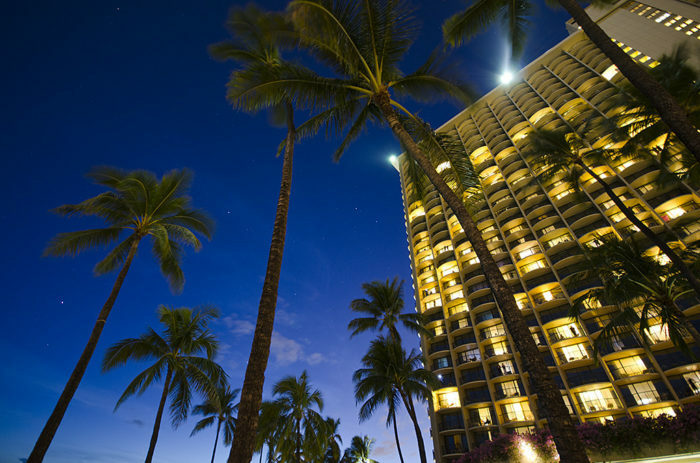 Guests have reportedly seen strange lights moving around the hotel building and heard whispering voices. There have also been reports of luggage being moved around. Legend has it that it is forbidden to remove anything from a heiau. A Bishop Museum exhibit designer was oblivious of this rumor, and removed lava rocks from a local heiau to display in a replica being made at the museum. One day, the mother of a worker had a bad dream that if her son went to work, there would be blood. As ominous as it sounded, the son shrugged it off because the family needed the money. While fixing the roof that day, he fell through and was killed instantly on the lava rocks displayed below. 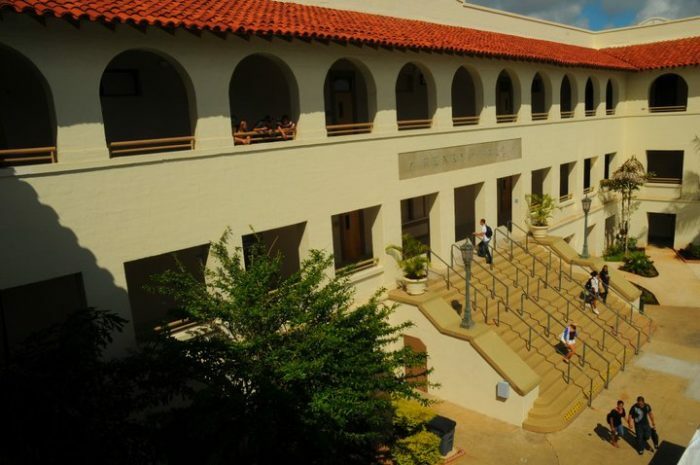 Often considered to be one of the most haunted schools on the island, this Honolulu campus was once home to a children’s hospital that lived through World War II. 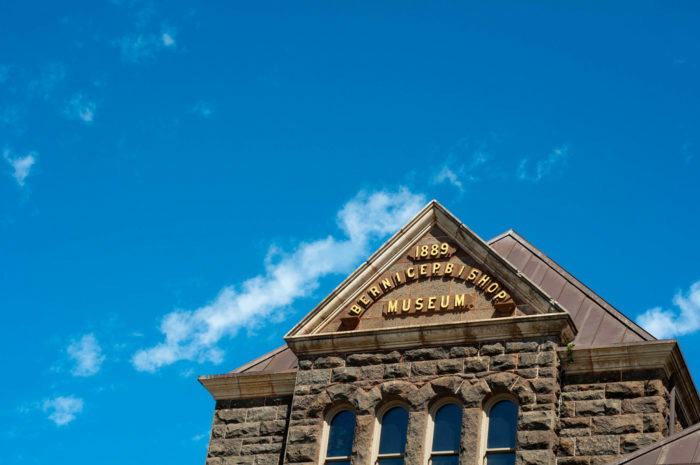 Room 319 was once used as a soldiers’ morgue, and there have been reports of ghosts inside. In Room 208, you can see the faint outline of a crucifix on the wall, even though it’s been decades since it hung there. 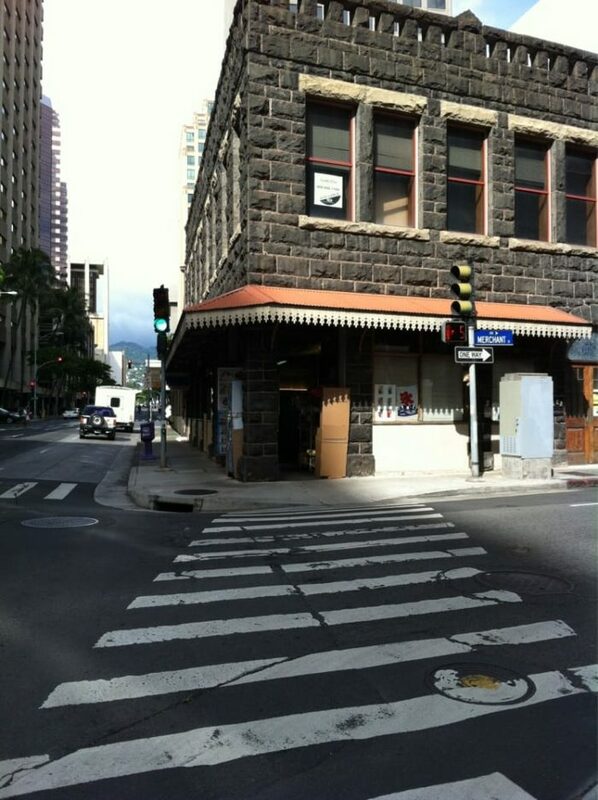 In downtown Honolulu, on the corner of Merchant and Alakea streets sits Kaua’nona’ula – meaning rain with the red rainbow – which allegedly serves as a gathering spot for Wailua (ghosts). An electrical worker in a building across the street claims to have heard a scream while working late one night. 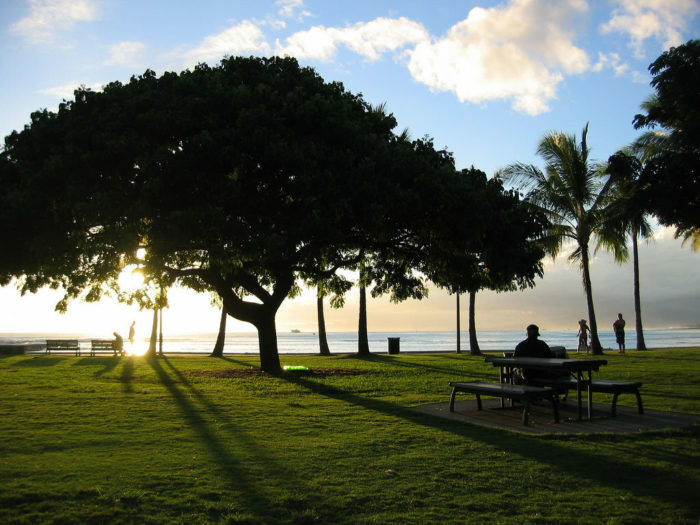 Hundreds of years ago, this park was witness to some pretty gruesome battles, as well as human sacrifice, and as a result, reports of unusual sights, smells and sounds are so common that the Honolulu Police Department has actually gotten used to distressed calls from travelers. A young girl was killed in a hit-and-run on this very bridge several years ago. 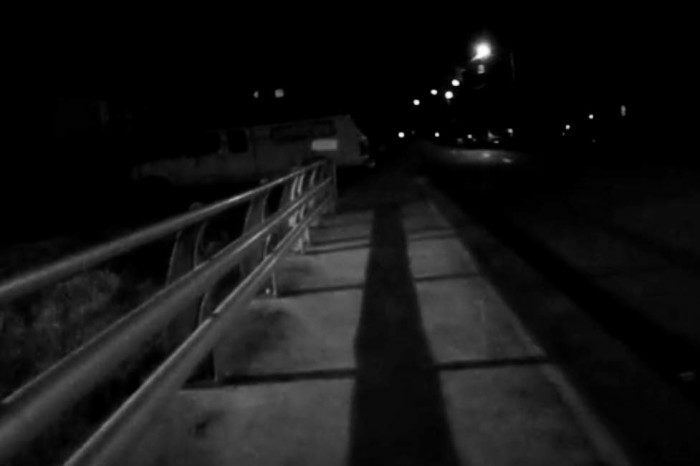 Residents claim that the little girl asks pedestrians for help home, just to disappear at the end of the bridge. 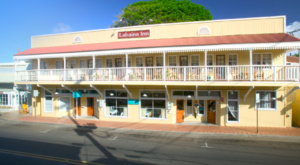 Built on top of an ancient Hawaiian temple, and in the early 1980s, a bus full of children crashed at the same site. It is said that you can still hear the voices of children and bus driver in the theater’s bathrooms. In Theater 14, you might also spot the ghostly apparition of a patron who favors a corner seat. A worker who passed away has allegedly still been punching in for work. The machine records someone punching in with his card – even though his magnetic punch card was canceled. It has happened on more than one occasion – and the records only show him punching in, never punching out. 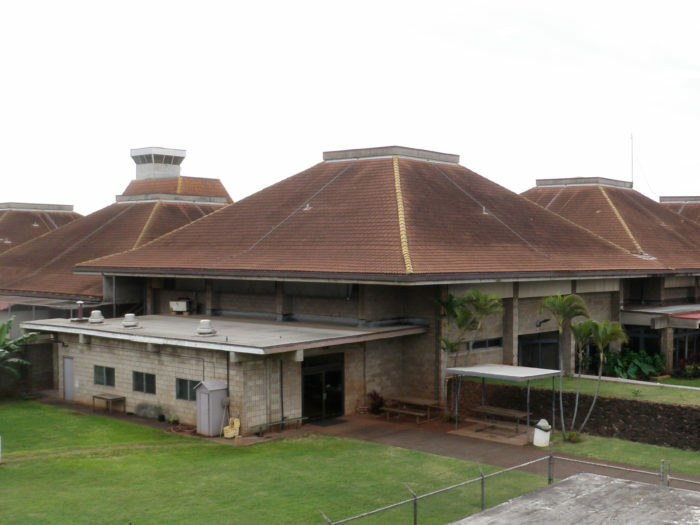 A 950-cell jail is the site of the former Oahu Prison, where 47 men were hanged between 1909 and 1944. The gallows were converted into offices, and prisoners have reported hearing the rattling of cell doors, and guards claim to have trouble sleeping in the squad room. It is said that Pele and the demigod Kamapua’a – a half man, half pig – had a bad breakup and agreed to never see each other again. 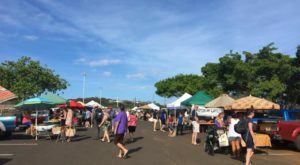 The legend says that you cannot take pork over the Pali Highway, which separates the Windward side of Oahu from Honolulu, because it means that you are symbolically taking Kamapua’a from one side of the island to the other. The legend says that if you try to bring pork across, your car will stop at some point along the journey and an old woman with a dog will appear. To continue on your way, you must feed the pork to the dog. 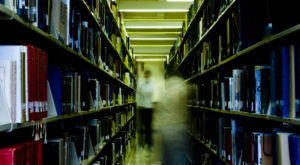 Students and custodians alike claim they have seen apparitions and heard strange noises wandering through the library’s aisles and in the bathrooms. 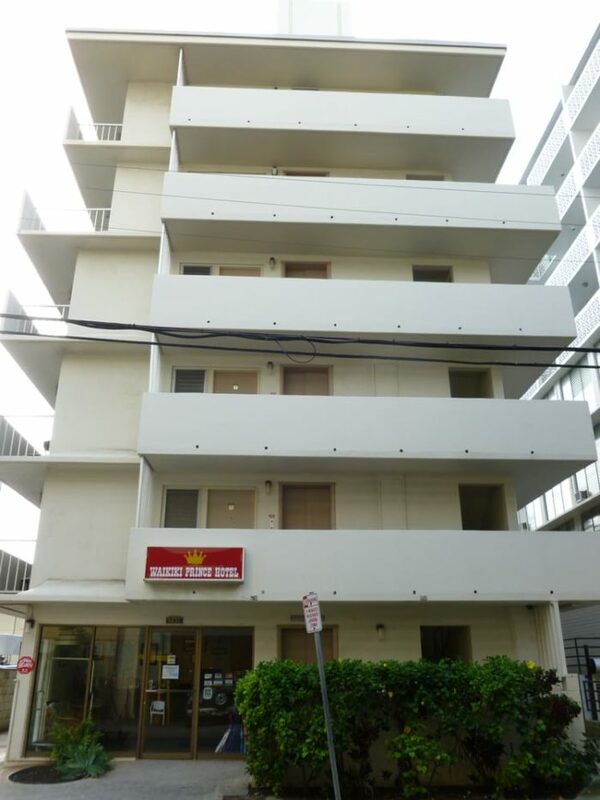 The most detailed report comes from a janitor who saw a young woman in a pink muumuu lurking around the first floor. Guests and locals alike have told of a young, attractive woman in a red dress seen walking in the hallways or down the beach. There are two theories: one, that she is the spirit of someone murdered in a hotel room, or two, that she is the Pele, the volcano goddess. How many of these haunted places have you visited? 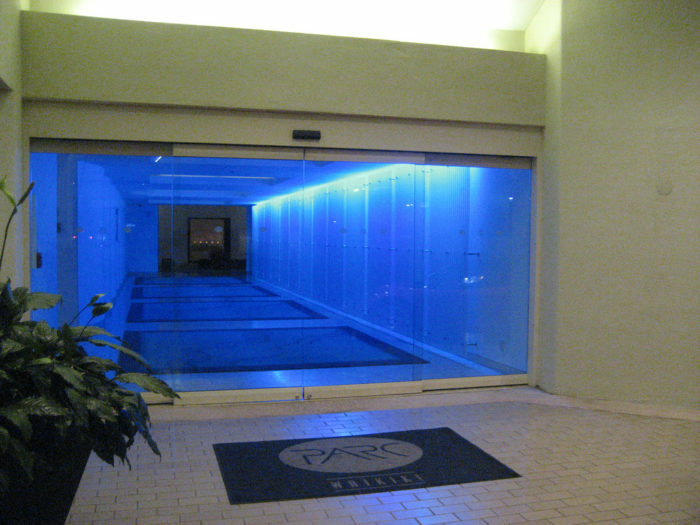 Did you experience anything paranormal on your visit? 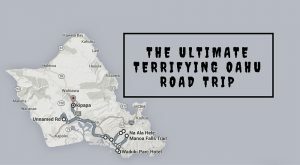 You might also love checking out this epic road trip to the most abandoned places on Oahu.